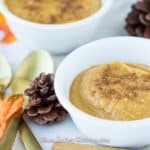 This dairy-free Paleo Pumpkin Pie Pudding is so simple to make, but is decadent enough to serve on your holiday table! 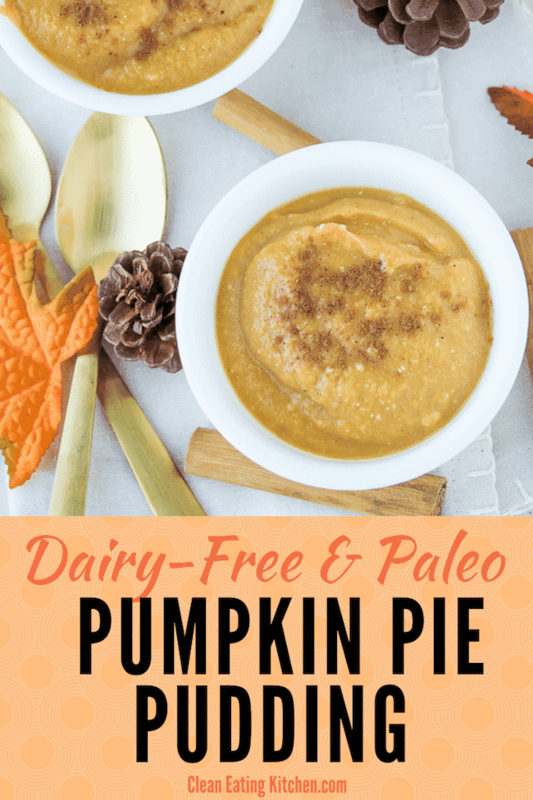 If you’re both gluten-free and dairy-free like me, then one option for your pumpkin pie this year is to make a pudding instead of the pie. I may try my hand at making a gluten-free pie crust, but the filling is the best part anyway! Agree or disagree? This recipe could not be easier, I promise! I shared this one last year, but I re-made it last night and took some new photos. It was so good that I know I’ll make it for Thanksgiving again this year. 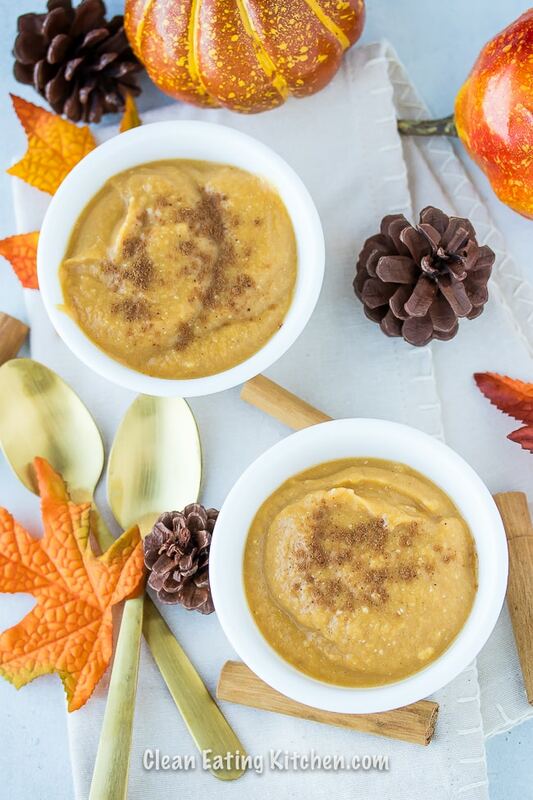 Combine pumpkin puree, applesauce, eggs, pumpkin pie spice, vanilla extract, coconut milk, and maple syrup into the bowl of a food processor. Pulse several times until combined, stopping to scrape down the sides of the bowl with a spatula if necessary. Pour the mixture into a 8-inch square baking dish and bake for 45 minutes, or until the top turns a golden brown. 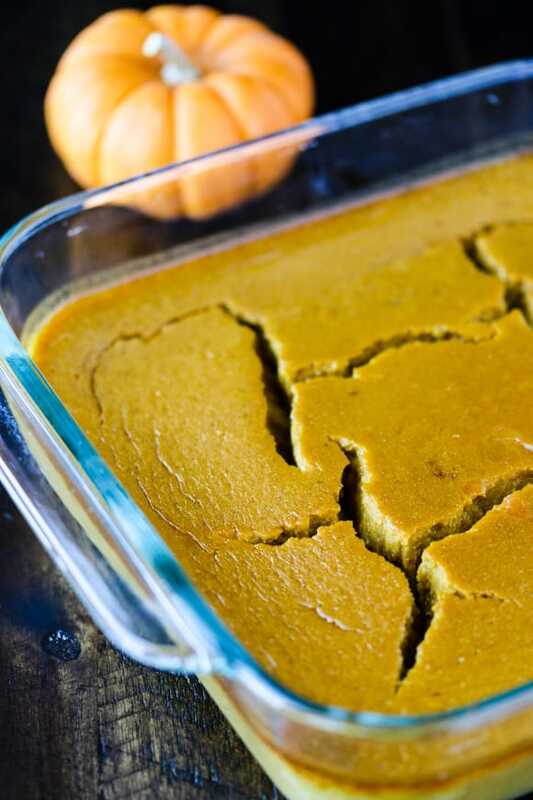 This recipe is so easy with ingredients you might already have, the most important one being pumpkin puree (I linked to one that is organic and comes in a BPA-free packaging). A dairy-free dessert delicious enough for your holiday table. Combine pumpkin puree, applesauce, eggs, pumpkin pie spice, vanilla extract, coconut milk, and maple syrup into the bowl of a food processor. Pulse several times until combined, stopping to scrape down the sides of the bowl with a spatula if necessary*. *If you don’t have a food processor, then you can use a whisk to combine the ingredients. Looks delicious. Thank you for the recipe. Love that the sweetness comes from fruit. I will be make this recipe soon because I bought a bunch of organic pumpkin when it went on sale. Happy Thanksgiving to you and your family! 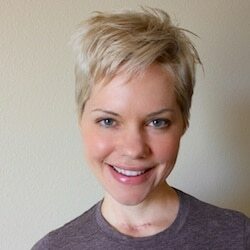 You’re so welcome. Happy Thanksgiving to you, Christine! XO. Looks great! 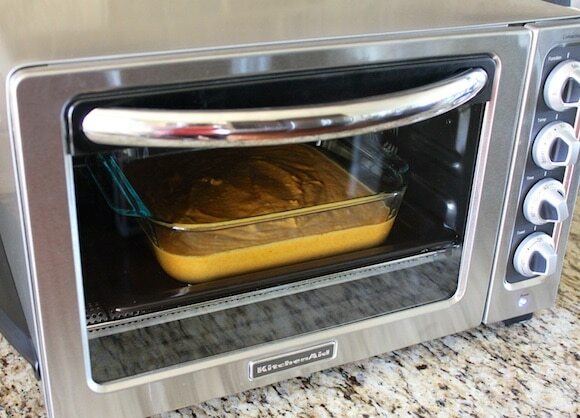 I love the idea of making it in the toaster oven. My toaster oven is on it’s last legs, I’ll have to get a new one soon. Do you like your kitchen aid one? I love this KitchenAid model, Kimmy, especially because it doesn’t heat up the whole kitchen just to cook one thing. XO! Looks delicious! Can I use egg substitute instead? What a simple recipe! Love that it’s dairy-free! My kids would probably love this! And it is so easy! Thanks for the great idea! Oh yum! Love the pumpkin and coconut milk combo!! I love anything pumpkin! I have never tried a pudding like this though, but I am game! Looks sooo amazing. I love pumpkin pie and I love how easy this is! Awesome, thanks Megan! And happy Thanksgiving!!! What a tasty looking dessert!It looks lovely and creamy – I love that it is dairy free! Such a fun treat! Love this crust free version, so yummy! YUM. Healthy, simple, delicious. And I’d definitely top it with coconut whipped cream for a festive treat! I love that this is dairy free! Pumpkin pie is a favorite this time of year! I totally agree that the best part is the filling! This sounds really yummy, and so simple – I need to try this! Your photos are always the best. I want to try this recipe soon.